$40 worth of Cosmetics FREE! Right now, new Maven subscribers can get the new Maven box filled with beauty products valued at $40 for free with the code: FREESIZZLE at checkout! *You will need to take a style quiz so they can prepare your box with items you will like. You can always cancel after your first FREE box if you are not satisfied. I just ordered mine and can't wait to see what arrives in my customized box! Apple iPods up to $110 off! It's never to early to start your holiday shopping, especially when you come across deals like these. Today only, Staples is offering up to $110 off select Apple iPods. GAP Friends & Family Event - 40% off Purchase! This is one of my favorite sales! Starting Today (8/7), GAP is having their Friends and Family Event with 40% off your purchases! Use the promo code GAPFAM to get your discount at checkout. Save up to 53% off Golf Outing at King's Creek Golf Club - Spring Hill TN! Check out this awesome deal my friend Amy over at My Music City Mommy just shared with me. Wanting to play a little golf? If your in the Spring Hill area you'll want to check out this deal at King's Creek Golf Club. Expires 90 days after purchase. Limit 2 per person, may buy 1 additional as a gift. Limit 1 per visit. Valid only for option purchased. Reservation required. Not valid before 1 p.m. on Saturday and Sunday. Not valid on federal holidays. Merchant is solely responsible to purchasers for the care and quality of the advertised goods and services. 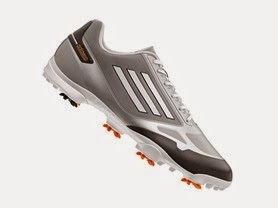 For today only, you can grab a pair of these adidas Men's adiZero One Golf Shoes for only $69.99 (Retail $180)! Choose your color: Grey, Solar Blue, Black, White, White/Red, or White/Yellow. Amazon Mom up to 70% off Diapers + $5 Credit! Are you the mom of a little one or know someone who is pregnant or with a little one? If so, you may want to check out Amazon Mom for this HOT promotion. *This Promotion is only available for new Amazon Mom members. When you sign up as a NEW Amazon Mom member between August 5, 2014 and August 17, 2014, you can redeem a 50% off discount between August 5, 2014 and September 17, 2014!! Plus, as an Amazon Mom member, you will always get a 20% discount on diapers with Subscribe & Save! Customers who had access to Amazon Mom benefits at any time within the last 12 months are not eligible for the promotional discount. Amazon Mom is a membership program that provides ways to save on products your family needs. Benefits include 20% off diapers with Subscribe & Save, FREE Two-Day Shipping on millions of items with Amazon Prime, as well as exclusive deals for members. After your 30 day free trial, you will be charged $99 per year (which includes ALL of the great benefits of Amazon Prime as well) if you do not cancel your subscription. This service is Free if you already have an Amazon Prime membership. Set up a Subscribe & Save order for one pack of qualifying diapers that will ship between Aug 5, 2014 and Sep 17, 2014. The 50% promotional discount and Amazon Mom’s standard 20% discount on diapers with Subscribe & Save will be automatically applied to your purchase during checkout. The promotional discount also applies to one pack of diapers in existing Subscribe & Save subscriptions on any of the qualifying diapers. The 50% promotional discount and Amazon Mom’s standard 20% discount on diapers with Subscribe & Save will be automatically applied to your next scheduled Subscribe & Save shipment between Aug 5, 2014 and Sep 17, 2014. If you have multiple existing diaper subscriptions, the earliest created will receive the discount. Add one pack of qualifying diapers to your shopping cart. 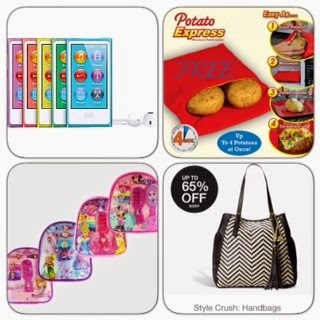 The 50% discount will be automatically applied to your purchase during checkout between Aug 5, 2014 and Sep 17, 2014. The promotional discount does not apply to orders placed with 1-Click. Plus, click here to sign up and you will receive $5. Kindle eBook Deals August 7th $1.99! NCAA Crock-Pot Slow Cookers 25% off - As low as: $22.49! Are you or someone you know a Die Hard Football Fan? Here's a great deal worth sharing! Right now take 25% Off ALL NCAA Crock Pot Slow Cookers with code TRAINDAY25 at checkout! Shipping is Free on orders over $49. Offer ends 8/9. Cuisinart 10-Piece Aluminum Nonstick Cookware Set $59.99 (Retail $199.99) & Free Shipping! If you do any cooking, hurry and grab this Cuisinart 56-10BK 10-Piece Aluminum Nonstick Cookware Set for only $59.99 (Retail $199.99) & Free Shipping! Offer valid August 7th Only! Old Navy 30% off Through 2PM CST August 7th! Here is a hot sale for Back to School Clothes! 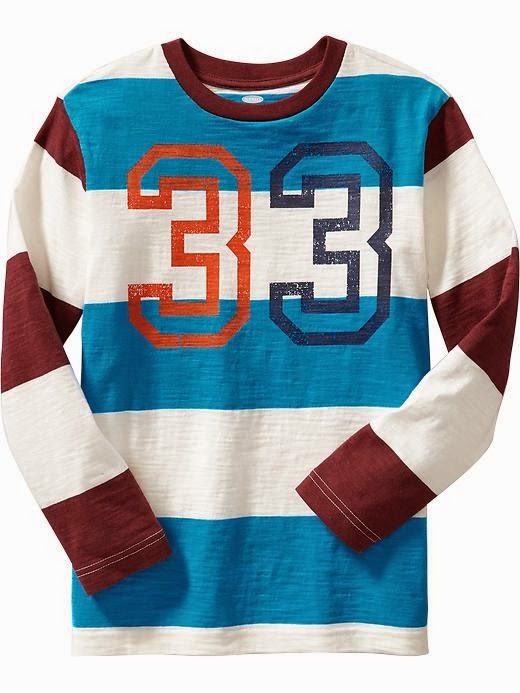 From now until 2PM (CST) at Old Navy save an extra 30% on purchase. From 2PM until 2AM (CST) save an extra 20% with code AMPM! With Back to School clothing starting at $4 you will definitely find some great deals. These offers are valid from 12:00 AM on Thursday, August 7 2014 and expire at 11:59 PM on Wednesday, August 13 2014. Offers must be submitted with receipts dating between the valid times.